He's a storyteller from the Midwest. Rarely do you run across people who give you music that is truly a reflection of themselves and their thoughts. Frankie Flowers is one of those people. 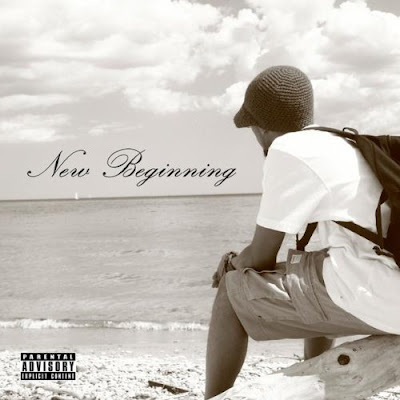 He released his sophomore album, "New Beginning," which is more and more showing why people should look to Frankie to provide a great deal of knowledge and guidance in his music, and it shows in his craftsmanship. 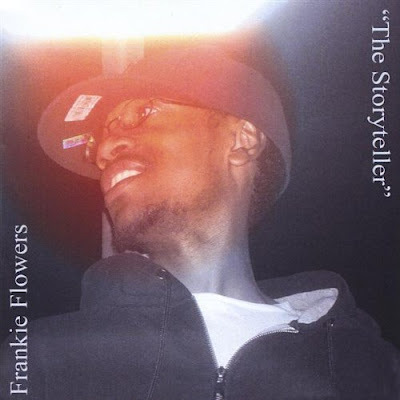 Here, Frankie tells us the creation of two of his most important songs; "Black In America" off "The Storyteller," and "Chasing Dreams" off "New Beginning." As a note from me; the words here are of Frankie Flowers. No alteration has been made. I just left from the studio in North Hollywood heading home. I was sitting on the couch with my laptop going through CDs full of beats that an engineer wanted me to check out. This track came on with this sample that touched me deeply. All I kept hearing was the sample repeating in my head “try…to understand…the way you feel…the world for them…is too unreal…so you’ll only hear………only hear…”. Right then I began breaking down the sample into meanings. 1. “Try…and understand…the way you feel”-I had just finished talking with someone who asked how did I like being out in Los Angeles, being that I’m from Milwaukee. The move was a culture shock because out in LA I rarely saw many blacks outside on a daily basis, unlike in Milwaukee. The blacks that I did encounter were very bourgeois or standoffish, and at times were nonsocial to an outsider like myself. Then dealing with other ethnicities became a hassle as well because they were either making fun of blacks, or believing everything they had seen from TV about blacks, mainly BET or UPN. 2. “The world for them…is too unreal”-my experience out in California felt like the MTV show Real World. It was surreal at times. Most people whom I met from Cali never had to leave so they thought that partying, shopping and being at the beach all the time was the way of life for all. On the flip side, “the world for them is too unreal” was taken into context of “them” being black people. Even now more blacks are enslaved through the prison complex and are in a mental state of solace. 3. “So all you hear…”-I sat and thought about what a man told me while riding the bus and subways a few nights before. He said “none of us was ever supposed to be free”. He felt that the actions of blacks in modern day were outrageous. Lack of unity, low morals, no respect for self and no motivation to help our own gave the rest of the world reason to believe the stereotypical images from all media outlets. As “only hear…” repeats throughout the song, I thought about what I’ve heard throughout my life about what people thought “being black” really means. So throughout the song, I give my opinion on what being Black in America is as a black man. I touch on issues the black community face like black men running away from the responsibility of fatherhood, black men trying to make a quick dollar from the sale of drugs, and trying to prove their toughness or machismo by having guns. I was on a flight back home to Milwaukee looking out the window admiring the greenery. As I looked out the window, I thought about all the ups and downs I’ve experienced while living out there, and was trying to decide if I wanted to return. The song opens up with me asking the listeners “would you believe or doubt someone if they told you a year from today your life’s going to change if you follow your heart?” That is what I was told prior to moving out west. I chose the title “chasing dreams” because a lot of naysayers said it would be foolish for me to leave my job and everyone I knew, to move across country chasing a dream. I was angry and frustrated for numerous reasons. I had gone from a place of comfort to an unknown land. I had no support from my uncle who initially convinced me to move west, and ultimately abandoned me after deals did not go through. Eventually I became homeless and ended up doing whatever I could to make it. Being homeless was a humbling experience. I learned valuable life lessons and also it allowed me to control my emotions at the same time express myself more poignantly. So when I started writing this song, I wanted people to be able to relate to pain in general. The pain of not having, of feeling betrayed, of feeling like a failure, and even questioning ones faith. I thought that my hometown had it rough during the beginning stages of the recession, but while out west I witnessed poverty on another level. I couldn’t foresee other people’s hardships while living in a secluded environment such as Milwaukee. “Once I opened up my third eye I knew what it’s like there” is a reference to me finally waking up to the reality of many living in harsh conditions everywhere, as stated in the second verse. I also wanted people to have a sense of hope after fully listening to this song. Many of us all have heard “be careful for what you wish for, because you just might get it” growing up. Sometimes we go searching for something not realizing it’s been right in our face all along. I felt I had to leave to fully find what I was looking for. But had I not taken that chance and followed my heart, I wouldn’t have seen all that I’ve seen nor would I have a better understanding about life’s quest for us all. Maybe chasing dreams isn’t so bad after all? Only you can make that decision though. Thanks again to Frankie Flowers. Dopness. More blogs need to get familiar with the homie Frankie.